1. Falling Man chronicles a tragic, defining moment in American history, yet the news stories are left out. We see the event through the eyes of the people who witnessed it, or through the story of the terrorist, Hammad. 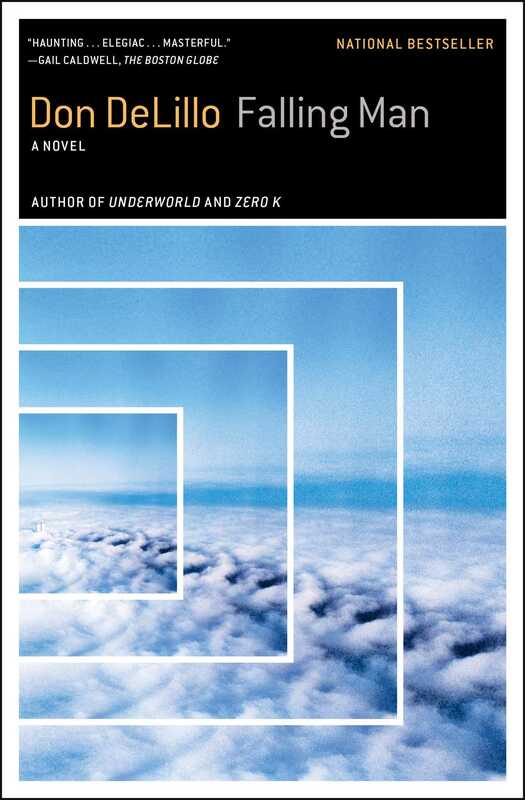 What do you make of DeLillo's choice? 2. Discuss Keith and Lianne's separate pursuits of solace and relief. What does Keith's relationship with Florence provide him? Why does Lianne depend so deeply on her meetings with the Alzheimer's patients? Are there similarities in the way that Keith and Lianne attempt to recuperate and comprehend their new post-9/11 world? What are the differences? 3. One plotline focuses on Nina, Lianne's mother, and Martin, Nina's German lover. What are the issues regarding America and American patriotism that surface in Nina and Martin's debates? What is the role of their story in the novel? Why is it significant that we discover that Martin's real name is Ernst Hechinger and that he was on the periphery of a terrorist group in Germany in the 1970s? 4. Keith eventually enters the professional poker circuit, spending a great majority of his time away from home, in anonymous windowless rooms, gambling. What do you think of Keith's descent into this state of alienation? 5. Why does Lianne believe that Keith wants to kill someone (p. 214)? Both Lianne and Keith have outbursts of anger or violence -- Keith when "shopping" for beds with Florence, Lianne in her encounter with the woman in her apartment building who plays loud Arabic music. Are these episodes symptoms of unexamined disturbance? 6. Children in DeLillo's fiction are often uncannily wise and observant. Keith and Lianne's son Justin and his friends, the twins, try to make sense of the event in secret. They watch with binoculars to see if the planes will come back. They whisper about "Bill Lawton." What do they contribute to the novel? What does their perspective offer? 7. Lianne thinks that Falling Man, the performance artist, "eluded her" (p. 224) - that she felt connected with the other people who watched him fall from the tracks, but "not that man who'd stood above her, detailed and looming" (p. 224). While Lianne researches Falling Man online she comes upon material from a New School panel discussion concerning, "Falling Man as Heartless Exhibitionist or Brave New Chronicler of the Age of Terror" (p. 220). How would you characterize Falling Man's performances? 8. Besides Falling Man, consider some of the other symbols used in this novel. Discuss the significance of the briefcase and the Morandi paintings. 9. At the end of each of the three parts within the novel is a brief coda featuring Hammad, a terrorist, as the protagonist. What effect do you think these passages have on the novel as a whole? How does the inclusion of the terrorist's perspective affect a story told primarily from the victims' point of view? 10. Is there meaning in the book's narrative structure? It opens with Keith walking out of the wreckage, moves on to explore how Keith and Lianne struggle to cope with life after 9/11, and concludes with the attacks themselves, as Keith watches his friend die and then escapes down the stairs. 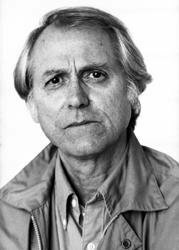 Why do you think DeLillo both opens and closes the novel in the midst of the chaos? How different, in terms of the narration and connotation, is the introduction from the conclusion? 11. The novel closes with the following lines, "Then he [Keith] saw a shirt come down out of the sky. He walked and saw it fall, arms waving like nothing in this life" (p. 246). Discuss how these concluding sentences made you feel. What do you think DeLillo was trying to accomplish in closing his 9/11 novel in this way? 12. Did you sympathize with Keith and Lianne? Do you think that they're good parents and spouses, or, are these questions made irrelevant given their circumstances following 9/11? Did you feel more strongly connected to one character over another? Consider their interactions and expectations of one another in the aftermath of the attacks. What effect did this have on you as a reader? 13. In novels that explore a tragedy of some kind, redemption is often a crucial element. Is there redemption in this novel? Why or why not? 14. Has Falling Man allowed you to gain new perspective on 9/11? Has it shown you an aspect of the event's consequences that you hadn't considered before? 1. The paintings of artist Giorgio Morandi are featured as objects of interest in Falling Man. Read more about him and view some of his work at http://en.wikipedia.org/wiki/Giorgio_Morandi or on museum sites such as www.moma.org or http://www.metmuseum.org. Look into your local art museum's collections, and if it has a Morandi painting, visit the museum with your group. 2. As with any major historic event, people often remember exactly what they were doing when that event occurred. As a group, share your 9/11 experiences. How have your feelings about the attacks changed, if at all, with the passage of time?